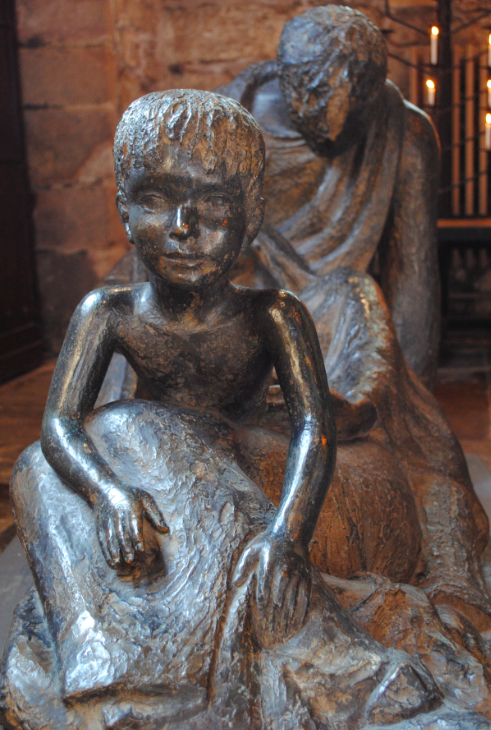 Located close to the Cromwell Door of Cartmel Priory are the sculpted figures of Mary, Joseph and the Holy Child. 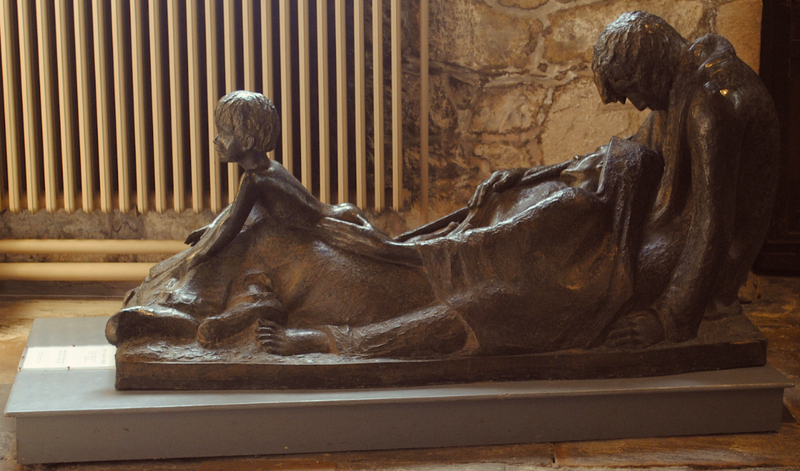 The solid resin bronze sculpture stands only a few feet high and represents the Holy Family travelling to a strange land as refugees. Depicting Mary and Joseph asleep, Jesus wakes to explore the beauty of the night. 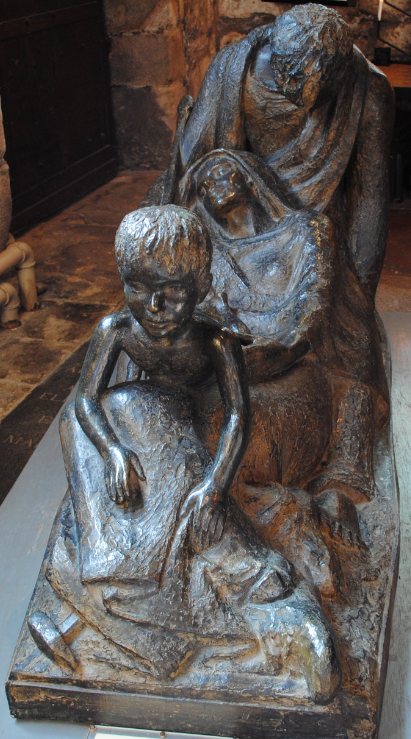 The sculpture was originally exhibited at the church of St Martin-in-the-Fields in London during World Refugee Year (1959-60) which was an international effort to raise awareness of, and support for, the refugees across the globe. 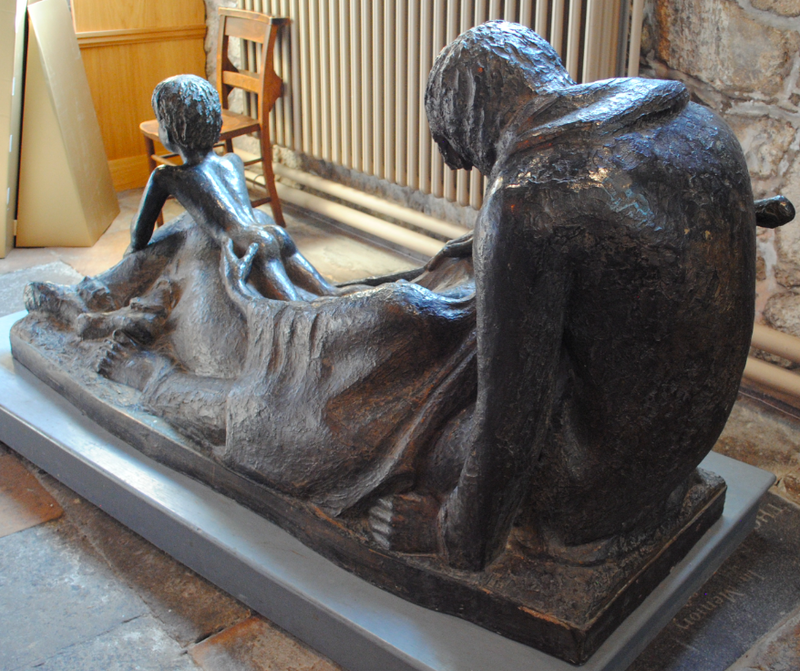 They Fled by Night was later presented to Cartmel Priory at the suggestion of Josefina.